The graphics gurus at Fossil have released another set of wallpapers for your computer, smart phone, or tablet. Choose from eight designs. To grab them, visit Fossil Life Style, select "Love our Graphics" from the category drop-down menu, and click on Wallpapers: Favorite Fall Graphics. You have read this article desktops / downloads with the title Vintage-inspired desktop wallpapers at Fossil. You can bookmark this page URL http://jenkrebs.blogspot.com/2011/09/vintage-inspired-desktop-wallpapers-at.html. Thanks! 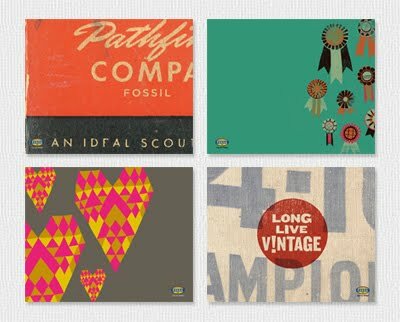 No comment for "Vintage-inspired desktop wallpapers at Fossil"